ALBANY- The Albany State University Athletics Department has released the football schedule for the 2018 season. 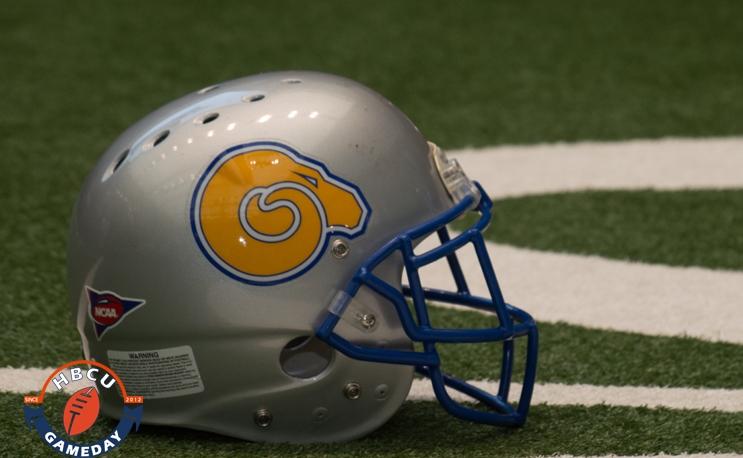 The Golden Rams will have travel laden slate this fall with seven games on the road, including neutral site contests in Phenix City, Alabama (White Water Classic) and Columbus, Georgia (Fountain City Classic). The Golden Rams will open the season on the road September 1st at Valdosta State in Valdosta, Georgia. This will be the fifth straight year the Golden Rams and Blazers have squared off in the season opener and the 21st overall meeting the all-time series. Last season, the Rams defeated the Blazers 29-12 at ASU Coliseum in the season opener, only their second win ever over Valdosta State. The following week, the Golden Rams will travel to Phenix City, Alabama to face SIAC foe Tuskegee University at the Fifth Annual White Water Classic. It will be a non-conference matchup for Albany State and this season the Golden Rams serve as the visitors at the neutral site. On September 15th, ASU will host their home opener as the Golden Rams will welcome the University of West Georgia to the Coliseum. Kickoff is scheduled for 7pm. The Rams will host only two other games at the Coliseum this season. They will open SIAC play with a conference clash against Miles College on September 29th at 7pm. On October 20th the Golden Rams will host Clark-Atlanta University for Homecoming 2018. ASU’s remaining away games this season will be at Lane College (September 22nd), Catawba College (October 6th), Morehouse College (October 13th) and Benedict College (October 27th). The Golden Rams will wrap the regular season against their rival Fort Valley State University at the 29th Annual Fountain City Classic on Saturday, November 3rd in Columbus, Georgia. The 2018 SIAC Championship game will take place on November 10th at a site to be determined. Albany State will host its annual Spring Game on April 13th at 6pm at ASU Coliseum.